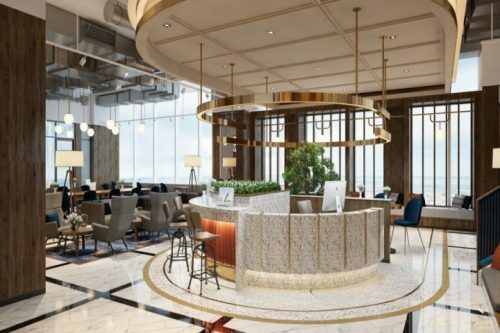 From shared office space to serviced office space, an office space for rent in Central Jakarta is the deal that everyone’s truly after, here is GoWork Millennium Centennial Center. This office space in the heart of Central Jakarta is the biggest coworking space provided by GoWork. 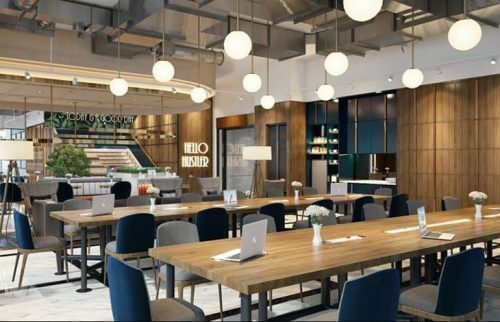 Whether you’re looking for a place to rent an office for a day, or finding suitable meeting rooms, GoWork MCC truly provides everything that you need in surviving Jakarta’s busy days. So, what other reasons could there be to rent this industrial space? There are tons of places in Jakarta that provides both shared offices and serviced office space for rent. Whether you’re simply looking for a small office for rent or open-air flexible office space, they provide these places, but, there’s a but. Usually, they charge it by the hour, and this is truly ages ago. GoWork MCC provides you a place where you could rent an office for a day, yes you heard it right, the whole day! 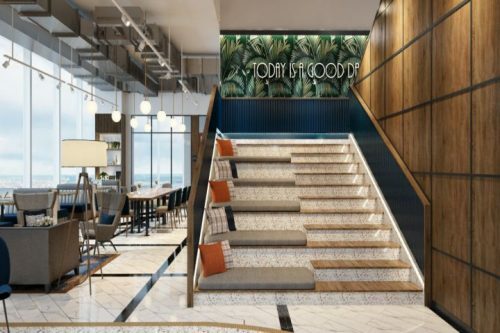 Well, we know what you’re thinking “There are other places all over Jakarta where you can rent office space for a day.” Yes, that might be true, but the next reason on why this coworking space is much more preferable might intrigue you. As we said before, a centralized location is truly the diamond that people are looking for, why is that? First of all, it is easier for everyone to meet, either you’re meeting a client or a business partner, having a centralized location in the heart of Jakarta would ease you and your client’s pressure to look for an alternative place. Now, why is it flexible? Well, first of all, imagine a regular corporate office space, what is it like? Most of you would think of a white themed office desk filled with chairs just like the image on the left. Well, if you think renting a coworking space in Millennium Centennial Center might give you an impression of being too corporate, you’d be terribly wrong. The creative office space provided by GoWork MCC isn’t like any other, it isn’t one of those white themed shared offices you’d see in a regular office building. 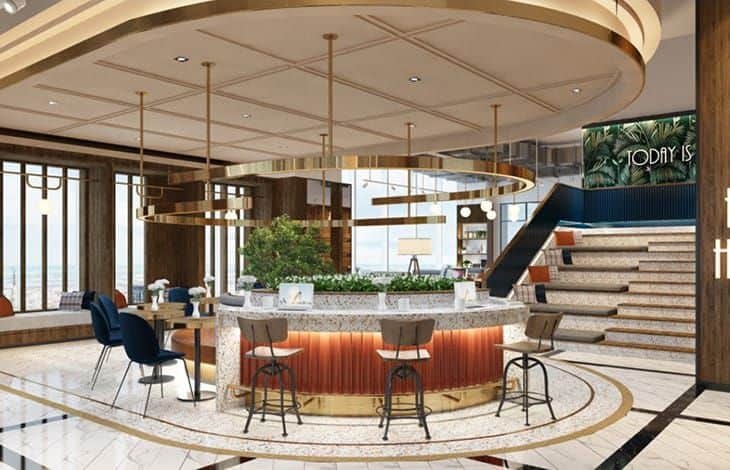 What you would see is like the image above, a furnished office space with all the amenities provided, not forgetting to mention a pleasing to the eye office space design. This means you wouldn’t have to go outside your office just to grab a cup of coffee, flexible isn’t it? 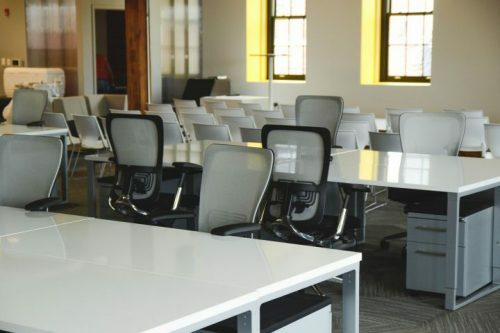 If you’re looking for private office space for rent or even office buildings for sale, this is certainly the place as it provides tons of furnished private offices. Or perhaps, you’re just looking for temporary office space, well, GoWork MCC provides an enormous coworking area for those of you who are looking for a temporary place to work. If you think due to its size, the price would be inadequately expensive, then you would be wrong. You’d get just around half the price of a normal office if you rent it here, not forgetting to mention that you would get all the amenities that aren’t provided in a normal corporate office space. So forget about searching for those business centers for rent as it is too expensive. It’s true that you would get all the buildings or floors for yourself, but you’d still have to pay the monthly electricity bills, Wi-Fi, and other services, right? However, if you rent it here, you’d only have to pay once, and this coworking space will definitely handle the rest of your problems. So, what do you think of this office space for rent? Still looking for another office space? Well, GoWork has several other coworking spaces scattered around Indonesia, check the link below to take a look at what other locations await you.